Discover what your library has just for you! 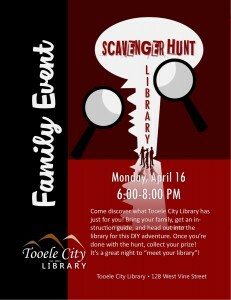 Stop by with your family, grab an instruction guide, and head out into the Library for a DIY adventure. Once you’re done with the hunt, collect a prize. A great way to “Meet your Library”.